Holiday season approaches (in Canada we’ve already celebrated Thanksgiving), and some of us are already planning. 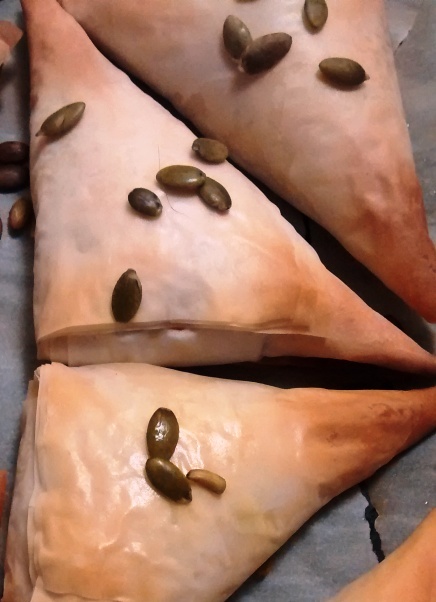 If you have vegetarians at your table, or want to provide a meatless option, these Butternut Squash Phyllo Turnovers are a perfectly celebratory addition to your holiday menu. 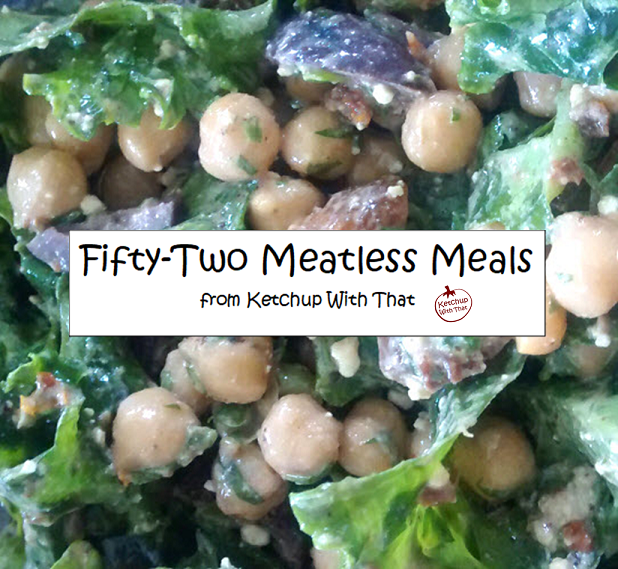 The simple, rich filling is a hit with omnivores and vegetarians of all ages. The sweetness of the squash is balanced with roasted garlic, nutty gruyere and a few chili pepper flakes. You can make these in larger sizes as an entree, or prepare mini turnovers as appetizers. The minis can be frozen, unbaked, until you are ready to serve them. Just pop them frozen into a preheated 350 degree F / 180 degree C oven and bake for 20 minutes. The larger turnovers can be prepared ahead of time and refrigerated until you are ready to bake them. The filling will be very hot when cooked, so give them time to cool down a bit before serving. They taste great the next day for lunch. If you are new to using phyllo, this page from the phyllo company Athens provides good instructions on how to form the turnovers. Remember to thaw your phyllo dough in the fridge, not on the counter. This will keep the sheets from gumming together. Phyllo is usually available in most larger supermarkets. You’ll find it in the frozen food section near the pie shells and pastry. These turnovers can be a meatless alternative for Thanksgiving or other celebration dinners. Or make them mini-sized and keep in the freezer to serve as appetizers anytime. Preheat oven to 350 degrees F / 180 degrees C.
Cut squash in half. Remove seeds and place cut side down on baking dish. Fill dish with one inch of water. Wrap garlic in a piece of aluminum foil. Place squash and garlic in oven and bake until the squash is tender, about 50 minutes. Remove squash and garlic and let cool. Scoop cooked squash into a mixing bowl. Add roasted garlic, thyme, salt, chili pepper, onion, ground pepper and cheese. Remove phyllo from fridge and unwrap. Place unwrapped phyllo to one side of your working space. Remove one sheet and place on working surface. Brush lightly with oil. Cover with another piece phyllo. Lightly brush with oil. Top with one more layer of phyllo. Cover unused dough with a slightly damp cloth to keep it from drying out. Cut the layered pieces into 3 strips lengthwise. Place about 1-1/2 tablespoons on the bottom right corner of each. Fold the phyllo over towards the left. Then fold towards the top. Then fold towards the right. Repeat these folds until the whole strip is folded. Brush lightly with oil and place on a prepared baking pan. Top with a few pumpkin seeds, if using. Repeat with the remaining phyllo dough and filling until all your turnovers have been formed. Bake for 20-30 minutes, or until lightly golden. Remove from oven and remove to cooling rack. Let cool 5-10 minutes before serving. Leftover turnovers can be refrigerated and eaten cold or reheated briefly in the oven. Phyllo pastry is usually available in the frozen foods section of the grocery store. You will find it near the frozen pie shells and pastry. If your store doesn't have phyllo, you can use this filling with puff pastry. Follow the package instructions for cooking.